It's not only Eskom that doesn't do its job. I'm not an Afro-pessimist, but I do believe that people who steal the wealth of others are ruining their country. 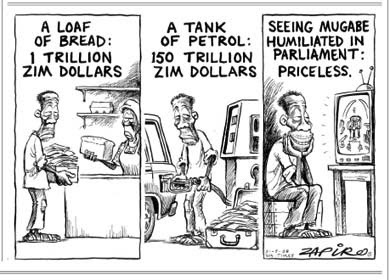 South Africa, Zimbabwe and Nigeria all suffer from this problem, in different ways. PerfectDisk works incorrectly if per-user quotas are being used. Active Directory tree does not display child domains. Active Directory tree does not display containers that have a slash character in their names. If PD91Agent is set to manual, PerfectDisk fails to start on some machines. PD Exchange still tries to compact after unmounting store error. PD Exchange - Stop button is disabled during compaction of datastore. PD Exchange - Compaction fails if mapped network drive used. Need to verify that UNC path is used. PD Exchange - GUI does not display log entries. "Maximum Duration hours" setting ignored. "Do not start a defragmentation pass while on battery power" option does not work. Time lag between the start time of a scheduled task and the actual start. Offline schedule created without "Override drive Properties Settings" doesn't use drive property setting. Problems with AutoUpdate in Windows 2000 environment. Upgrade from PerfectDisk v8 to PerfectDisk 2008 migrates the date and time of last defragmentation. Upgrade from PerfectDisk v8 to PerfectDisk 2008 migrates empty offline defragmentation drive settings. VMware guests with linked clones or snapshots are not supposed to be defragmented. Invalid file error on attempt to add a virtual machine. Defragmentation of a virtual machine fails with unspecified error when it has an additional disk setup. Machine goes into sleep mode during the defragmentation of a virtual machine. After Analyze, Summary and Most Fragmented Files Disagree. On Windows Vista, PerfectDisk periodically changes status causing Task Bar tray icon to "light up". Statistics Incorrect/Inconsistent for Number Of Fragmented Files & Size. Drive properties notebook opens minimized on certian screen resolutions. Initial column width does not accommodate text. No new features are included. On Saturday 5th July I was contacted by Puran Software and asked to test the beta version of Puran Defrag 5.0. Today they announced the release of version Puran Defrag 5.0 for US$24.95 for new customers, and a free upgrade to all existing customers. Is it worth it? You bet! It has an intuitive and easy to use interface, and can be set up to handle defrag tasks automatically. At present it is the only defrag product to offer a complete boot-time defrag of the hard drive, including metadata files and other "untouchable" files that can't be accesses when Windows is running normally. There is a "low priority" defrag option for doing a defrag while you work. I tried it on my 500GB USB (slow) hard drive and I was able to carry on working on my main drive without interference. There is an "automatic" option to specify how often to check for fragmented files while the machine is running. There is also an automatic boot time defrag. I set mine to run once every Friday. So when I boot up my machine in the morning, it tidies up my hard drive, ready for the weekend. Sweet. I plan on running some benchmarks this weekend, and will publish a full review shortly. This program is going to give ALL the major players a run for their money, especially in the workstation space. Check it out. "Deli" is short for delicatessen, and "Delhi" is a city in India. Welcome to the new literacy. According to NPR Omar Khadr's father was involved in militant causes in Pakistan and Afghanistan, and allowed his son to live among the followers of Abu Laith al-Libi, a senior al-Qaida figure who was reportedly killed last January by a CIA missile strike. Omar was captured at the age of 15 in 2002. The video was shot when he was 16 in Guantanamo Bay. "He was deprived of sleep by being removed from his cell and to another cell every three hours on a 24-hour basis for three weeks solid, followed by three weeks of deep solitary confinement," his lawyer Dennis Edney told the BBC. He is supposed to have thrown a hand genade, after his building was attacked by the US Military. He has been held at Guantanamo for 5 years, where he has been abused and tortured. The class of 1976 in Soweto endured this kind of atrocity. Now the US government thinks its OK to do this to Canadians. His lawyers have released the video to pressure for Omar's release. The USA and Canada have a lot to answer for. I guess "Justice for All" doesn't really mean what it says. I was sent this link but for reasons known only to YouTube, I can't see the video. I keep getting the infamous "We're sorry, this video is no longer available." What I don't understand is that I get this message with every video clip I watch. If you can see it, I hope it's worth watching. Update: I eventually enabled HotSpotShield and that made it work. I guess my ISP's transparent proxy is broken once again. The video isn't an official Raxco one, but it's fun nontheless. Watch it in high quality video if you can. In an effort to find out which defrag programs are the most popular, the web site makeuseof.com has started a defrag utility poll. Many of the well known defrag products are listed, but not all. At the last view, it turns out that over a third of the respondents use the built-in Windows Disk Defragmenter in reponse to the question "what program do you use to defragment your PC?". I am still testing the new Ultimate Defrag 2008, and am pleased to report that the older version of Ultimate Defrag 1.72 is now available as freeware. Another development is the imminent arrival of Puran Defrag 5.0, which is looking awesome, with a cool new interface and some pretty nifty features, especially in the boot time defrag category. I expect to report more on this product soon. Update: the product has now been released.